The above was created using Pro/E, good use of a $20k software, eh ? About My 1970 914 Porsche I never thought I'd own a 914 myself, I always thought that they were ugly and all-in-all a useless, under powered car . The car that I really wanted was a 911, a "real" Porsche, or so I thought until I test drove one. It could have been a couple of things which turned me off during my first drive of a 911, things like no bottom end torque, pedals that felt like a VW bug, hell the whole car felt like a bug to me.When I returned the car to the dealership I gave the keys back and said thanks but no thanks, I'm no longer am interested in a Porsche. Then about 3 years ago my wife (actually she was my girlfriend at the time) volunteered herself and I to help one of her co-workers move into thier new house, like I really wanted to help some total stranger move. Being the good guy I went along to help, when I finally showed up I meet Rich & Renee Small and they turned out to be a really nice couple. After loading and unloading a couple truck loads of stuff all that was really left was a few boxes and a very dirty 914 sitting in the street. I asked if he planned on driving the car over to his new place and he informed me that it had a blown engine (and a couple of flat tires and a big dent on the side), so being that his new house was only two or three blocks away I asked if he was going to tow it over or just push it. He informed that he was going to scrap it, and just let someone tow it away, so I figured it could turn out to be a decent car to work on and fix and sell it. Of course as soon as I started to show interest in it my wife said "hell no" I can't have it. So I told her that if I don't get the 914 I'll buy a motorcycle, I guess she figured the 914 was the less of two evils. we did differant excersices to get to know the car better. We learned how to control the car better for braking and turning. About halfway during the first day, my wife came up to me and wanted to apologize, I asked her what for and she said for saying all those negative things about the 914, she told me she was having a blast tearing up the track and finding out the limits of the car and herself. 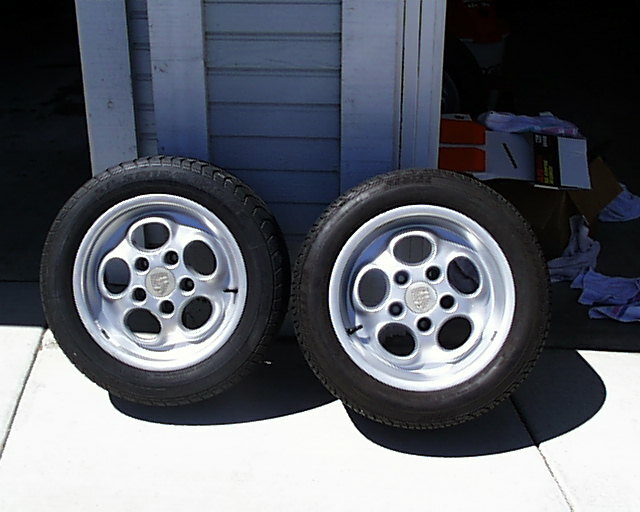 I'm in the process of doing a few things such as a 4-bolt wheel pattern to a 5-bolt pattern and new 16 inch rims, 7's in the front and 8's in the back, just a tad bit bigger than the 15x5.5 original rims. 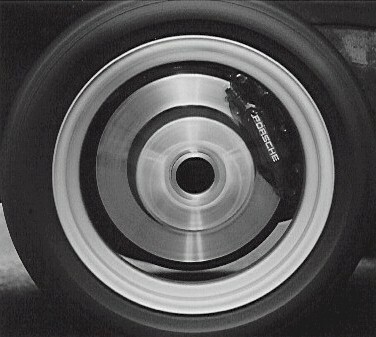 For the tires I'm going with 205/55-16's in front and 225/50-16's in rear, the tires that came on the car were size 165/80-15's. I've decided to go with the Phonedial style vs the Fuch's since it seems everyone has the Fuch's. The phonedials are about 1 pound heavier than the Fuch's so it's not too bad. If had a bunch of money to spend I'd get some nice 3-piece wheels like the Kinesis, but at $2000 or more for a set of rims only I'll have to wait until I win the lottery. For the rears to fit I'll have to pull the fenders out a tad bit, not sure how I'll do it, but it has to be done to fit the rims. 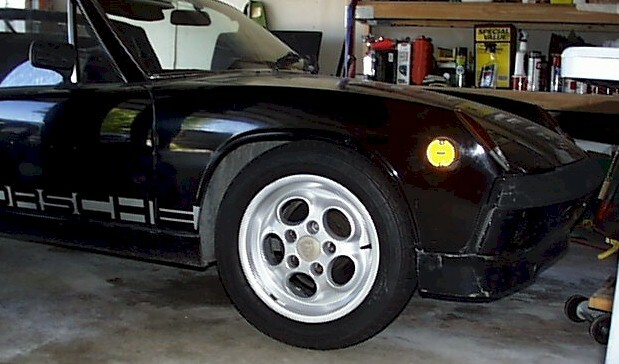 Attention 914 owners: Tired of your beat up and expensive factory center caps ? 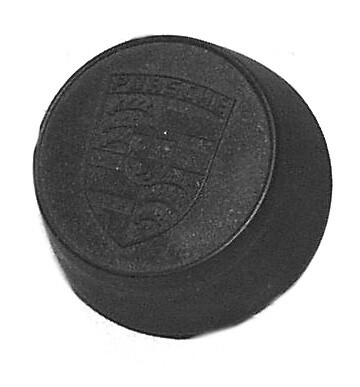 Try this modification to use the factory 924 center caps for a different look, the 924 black plastic caps have a nicely detailed crest and best of all they can be picked up for next to nothing at a lot of autowreakers, brand new they are in the $8.00 a piece range. 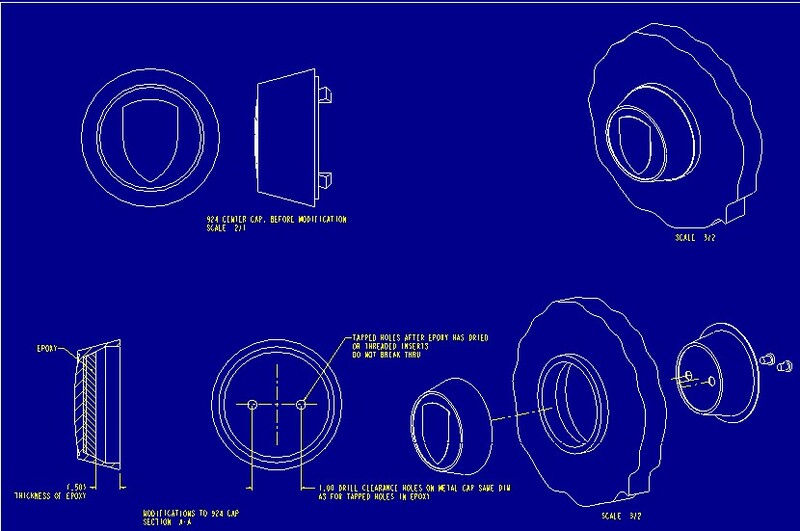 This is a new steel wheel design, still in the prototype stages. About the Volvo: Our 1998 S70 T-5 is a great car, very comfortable and very quick, its powered by a 236 hp inline five cylinder engine. 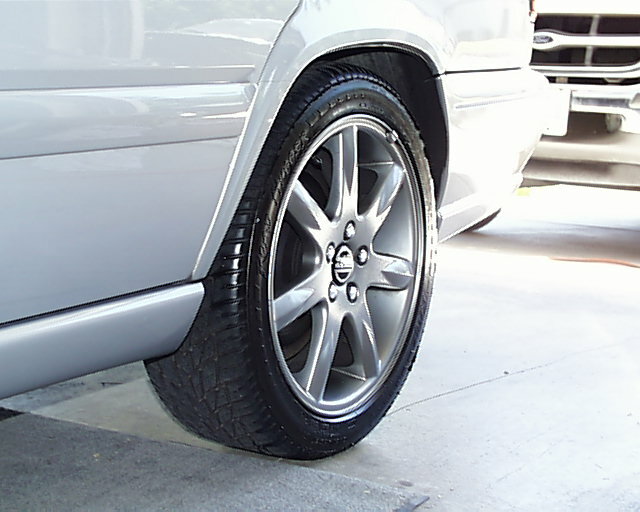 The rims are the optional 17" seven spokes running 215/45-17's, the ride can get a little on the harsh side depending on the road surfaces. Yes my wife and I are very careful about potholes in the road. ((************************************************.) I can't forget our commuter vehicle: This is pretty much our daily driver, a 1998 Ford Ranger, it's been a great truck so far. 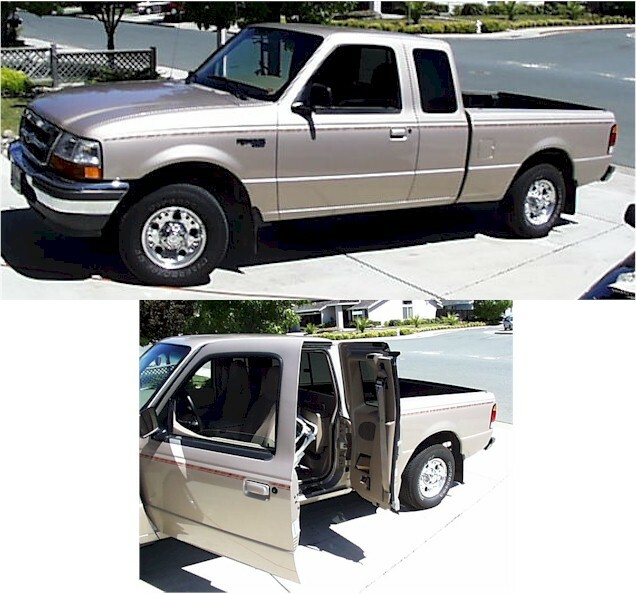 For a truck the handling is great and the ride is very comfortable, the 98's I belive where the first year to offer the four door option, very handy for loading stuff in the back (such as parts picked up at our local swapmeets). Send me e-mail to: Mike Mueller Come back often, updates to follow. More 914 stuff to be added soon.